Keep the good dreams going. 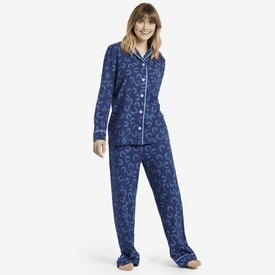 Washed for softness and for sleeping in this sleep set is the perfect companion to happy nights and long, easy mornings. Happy feet. Wrap your toes in the softest socks ever. Velvety soft yarn makes these super cozy. Great for hanging out around the house, light enough to slip into your favourite shoes or boots.